How much is the pitch fee and council tax? The pitch fees vary across our four parks. They are reviewed annually and can differ between twin and single unit pitches. For council tax, all of the homes on our parks are in Band A, but the actual amounts differ between the districts in which the parks are located. 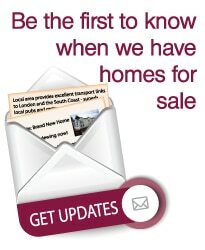 Should you wish to find out the current outgoings relating to a home or park that you are interested in, then please do contact us on 0118 932 8328 or via our contact form. What other services do I have to pay for? Residents are responsible for normal household expenses, such as electricity, gas and water bills and for arranging their own home insurance. Is there a lease and how long is the term? Our park homes are not sold on a leasehold basis. Greenford Park Homes owns the freehold to each of its parks and they have permanent planning permission for use as park home estates. Park home owners on residential parks are provided with a Written Statement under the Mobile Homes Act 1983. This provides the resident with an indefinite security of tenure, subject to abiding by the terms of the agreement. Residents’ right to stay in their home on their plot, for as long as they wish, is protected. Do I need a solicitor to assist with the purchase? We are very happy to liaise with your solicitor and we do recommend obtaining your own professional advice. We find that most purchasers of park homes do not employ the services of a solicitor, however. There are plenty of surprising savings that can be made when purchasing a park home and on that note, you may also be interested to know that Stamp Duty is not levied on park home purchases! Greenford Park Homes is responsible for the maintenance of the communal grounds and park boundaries. Residents are responsible for the maintenance of their home, the pitch and any outbuildings, fencing or vegetation enjoyed with the pitch. We do have a set of rules in place on each of our parks to ensure the comfort and convenience of our residents. Please take a look at our Park Guidelines page to find out more. What are your office opening hours ? The office is open Monday – Friday 7.30am – 6pm, Saturday 8am – 5pm and Sunday and Bank Holidays 10am – 4pm. During those hours there will be someone either to deal with your query or to take a message and pass it on to our Parks team. Alternatively, please fill out our online contact form.